Thousands of quilters descended upon the region this weekend to partake in the 13th Annual Western Washington Quilt Shop Hop. “It’s kind of like a scavenger hunt for quilters,” said Robin Delgado, owner of the Creative Quilter in Graham. The Shop Hop is an informal tour of the 54 quilt shops that exist in western Washington, and it lasts for five days. As quilters visit a store on the tour, they get their “passports” stamped, and when they have amassed a total of sixteen shop visits they are eligible for a drawing, where prizes range from a free sewing machine to quilting lessons or fabric. In addition, each quilt shop dispenses free to each hopper a nine-inch “block” of fabric, which has a pattern stitched upon it that was uniquely designed and crafted by the store. All 54 blocks then can be sewn together to make a quilt commemorating the event. 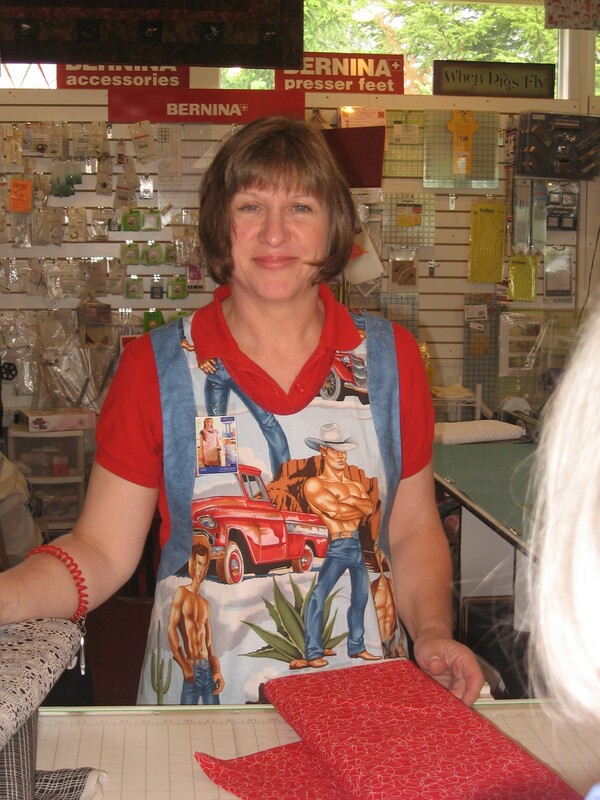 The Shop Hop is organized by the owners of the participating quilt stores, but the mood and excitement of the shop hopping quilters belies the mercantile underpinnings. 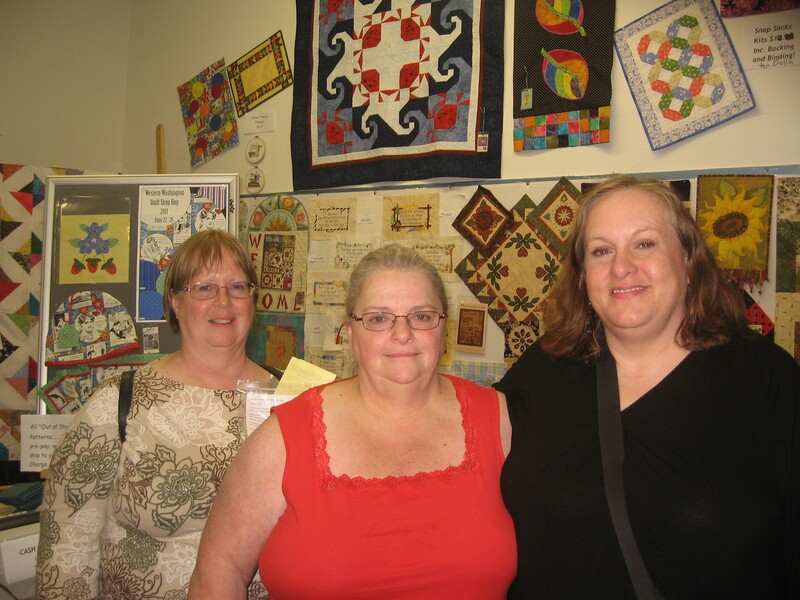 In reality, the Shop Hop is a kind of pilgrimage, a journey into the World of Quilting, where the shop hoppers can revel in the quiet warmth of Quiltdom – viewing new quilting projects, discovering exciting fabrics, and socializing with fellow quilters. The Creative Quilter had over a thousand shop hoppers come into the store by Friday evening, and Robin Delgado said she expected at least two thousand by the close on Sunday. John Rendell, co-owner with Robbie Burns of The Wild Rose in Orting, said that they had “too many to count,” but their shop hoppers had deposited hundreds of dollars into a donation jar for the Orting Food Bank. “Last year they donated over $950 and they’ll easily surpass that this year,” said John. The Country Mouse in Eatonville didn’t have quite those numbers, but it did have a troupe of motorcyclists pour into their quaint little cottage on Eatonville Highway; turns out it was a band of husbands driving their shop hopping wives. In defense of men who quilt, Ernst proudly displayed his own quilting handiwork, a vast 120-inch by 120-inch quilt replete with a frog motif that he stitched on a “long arm” sewing machine, which occupied one corner of the Mouse’s 2nd story quilting room. “But my wife Lucie is the expert,” Ernst acknowledged, as he presented her hanging quilts that have won awards at the Puyallup Fair and other local venues. The Shop Hop is the kind of event that begs for women to grab a gal pal and head out on a road trip. For instance, three ladies from Monroe, WA visiting the Creative Quilter on Friday afternoon said they had begun the Shop Hop the day before in Bellingham and were working their way south to Vancouver, where they expected to be spending Friday night. The Monroe Three, l-r, Deedee Zehm, Cheryl Tingley, and Wendy Kuether. "We've had a lot of laughs. This is our ninth year!" “We’ve hit 28 stores so far. Saturday, we’ll head out to Ocean Shores, and then over the Peninsula and hit the stores there, like in Gig Harbor,” said Cheryl Tingley, surrounded by her fellow road warriors Deedee Zehm and Wendy Kuether. All told, the Monroe Three expected to visit 45 quilting stores by the time they return home. “We just had five women come in the store who were from all over,” said Evie Paulson, stamping passports in the hospitality room at the Creative Quilter. “They came from Alaska, Hawaii, Alabama, Texas and Mississippi. They met a few years ago at a sewing conference in Mississippi – that’s how these kinds of things get started!” she added with a laugh. This kind of feminine friendship was also evident at the Wild Rose in Orting. Their 2nd story is completely dedicated to three-day quilting retreats, with six small bedrooms, bathrooms and a kitchen surrounding quilt tables and long-arm sewing machines – allowing women to be immersed in their craft without interruption. “We’re taking reservations into 2013, the retreats are so popular,” said John Rendell. But what draws women so powerfully to quilting? 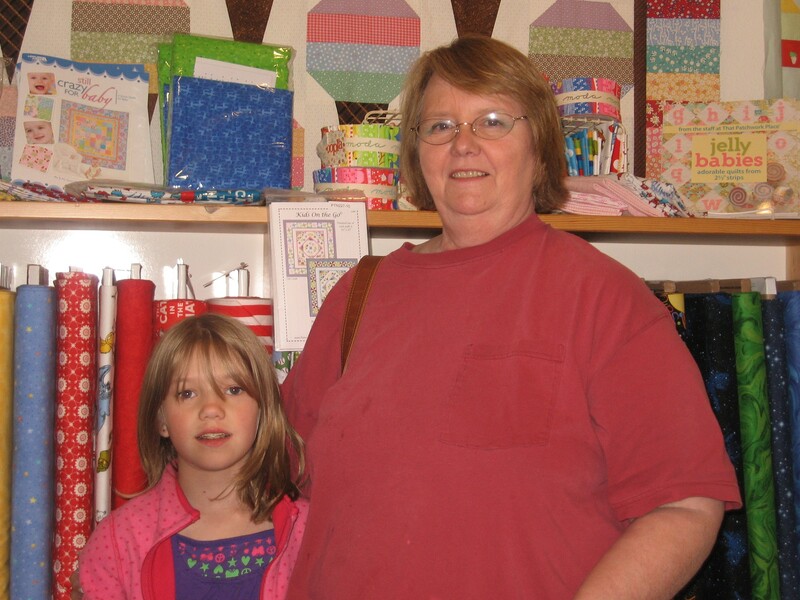 Carolyn Elliott and her grandaughter Emily Blubaugh are examples of quilting's inter-generational quality. Robin also opined that quilting is a kind of sacred experience that is special to women, which enables them to connect deeply with family and loved ones. “A quilt is something that is very personal – so much time goes into making one – it’s a very special way to remember family, to be connected, to share your love,” Robin added. 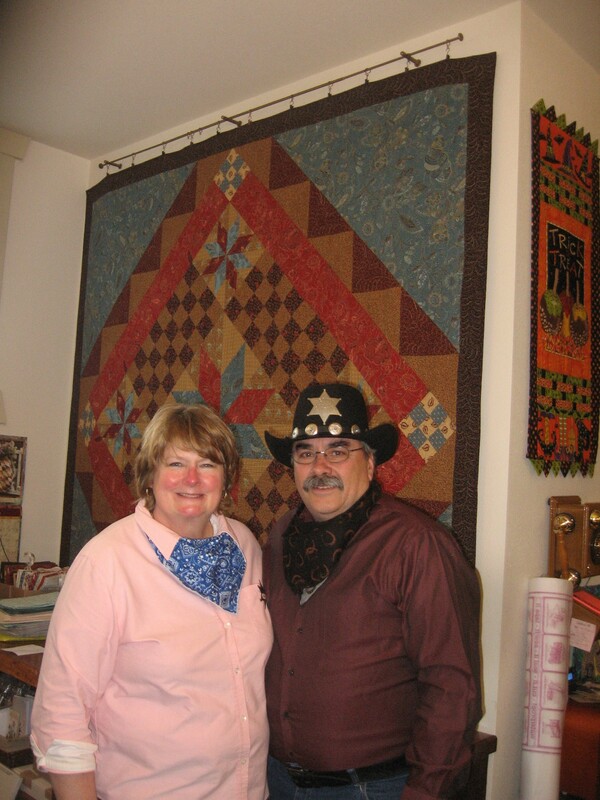 Robbie Burns, (l), and John Rendell (r) stand in front of their award-winning quilt at the Wild Rose. Upon further thought, Robbie felt that the artistic expression of quilting is a vital part of the deep connection women have to the craft. Many quilters said that their handiwork is a way to show others that they care. 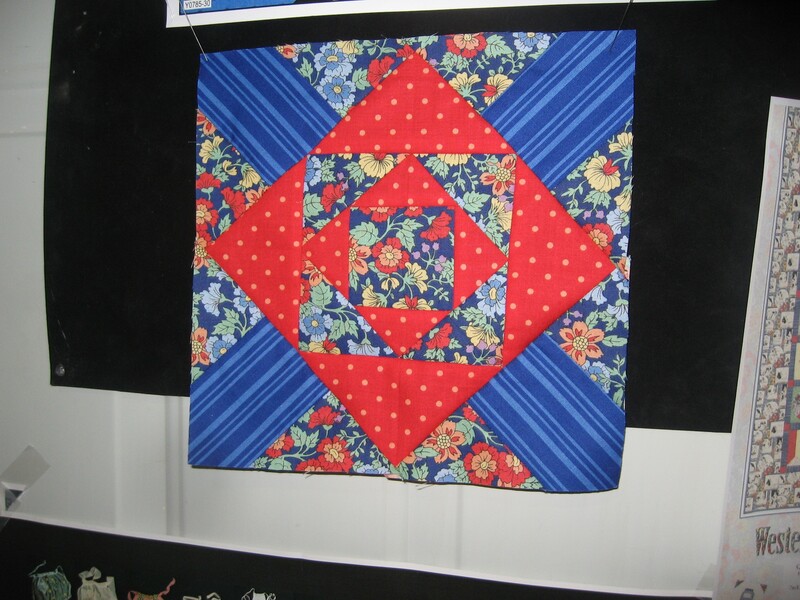 Quilts are also widely used throughout the area as fund-raising instruments, clearly evident in the community auctions organized by the Graham Business Association to raise scholarship monies, or for cancer-fighting efforts. “Quilting is much more than just a hobby,” said Robin Delgado. It appears those other elements of love, expressing artistic yearnings, and telling others that you care about them, are what is being celebrated so wonderfully in the Shop Hop, and reducing four-dollar-a-gallon-gasoline to a relatively trivial expense. 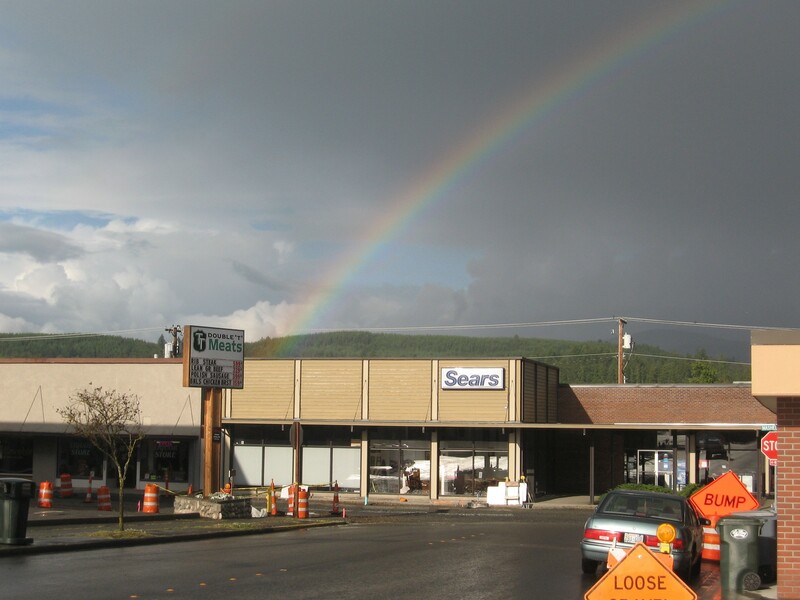 Shop Hoppers had to contend with driving rain and brilliant sun, but they also received this rainbow over Eatonville. 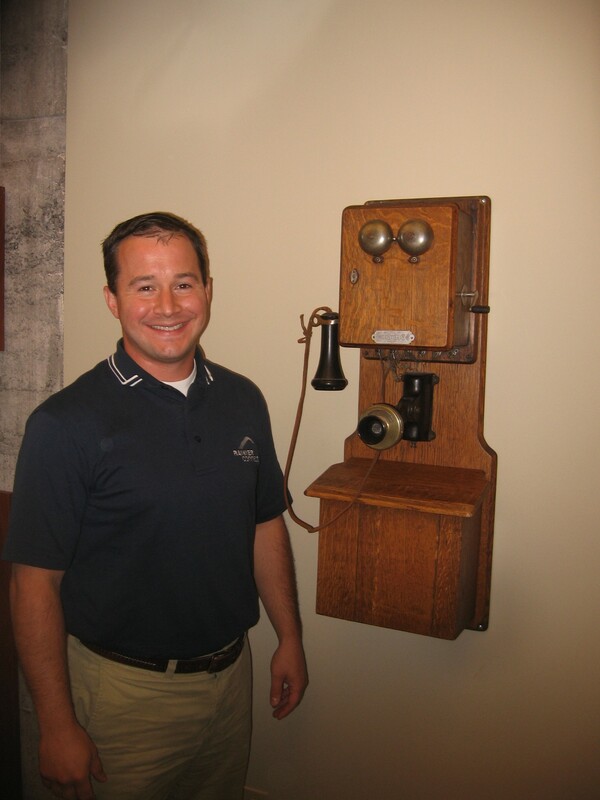 In our 100th Year ! For more information, click on our ad in the column to the right. Thanks! This entry was posted in Business, Culture, Events, Self Reliance. Bookmark the permalink. I so wanted to participate this year but was unable due to business. I’ve done a couple of shop-hops over the last few years and they are very fun! 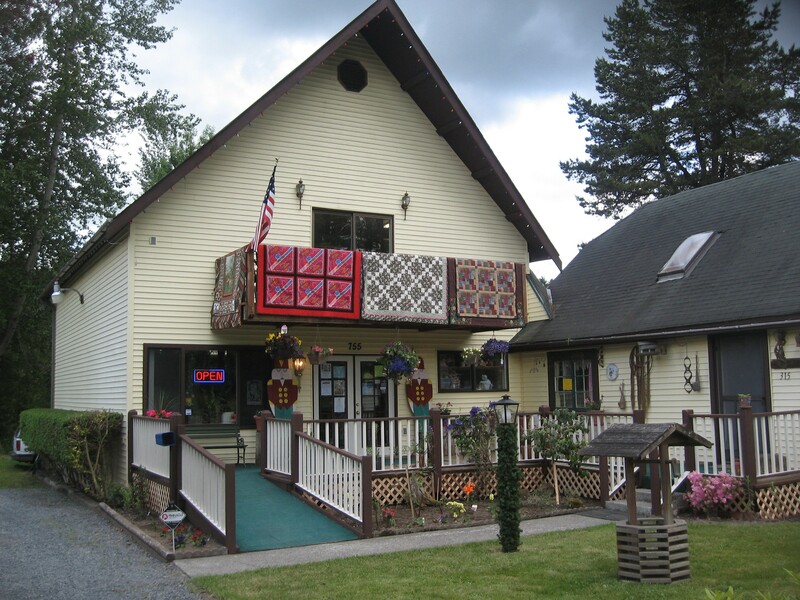 I have been able to travel to corners of Western WA that I might have not seen had it not been for a shop-hop quilt shop! The most important quilt I have ever made was the quilt I finished for my mother who died unexpectedly after starting the project–a quilt made out of my nephew’s (her only grandson’s) Army clothes from 3 tours in Iraq. She beautifully designed this as a patchwork and put very special finishing touches. It even includes burned fabric from when he was under fire. Quilts are more than just fabric–they are truly the fabric of lives. Yay quilters everywhere for carrying on this important tradition and art!. You post brings tears to my eyes, Kelly. Looking for a quilter in Spanaway WA to put a quilt top together and finish quilt.